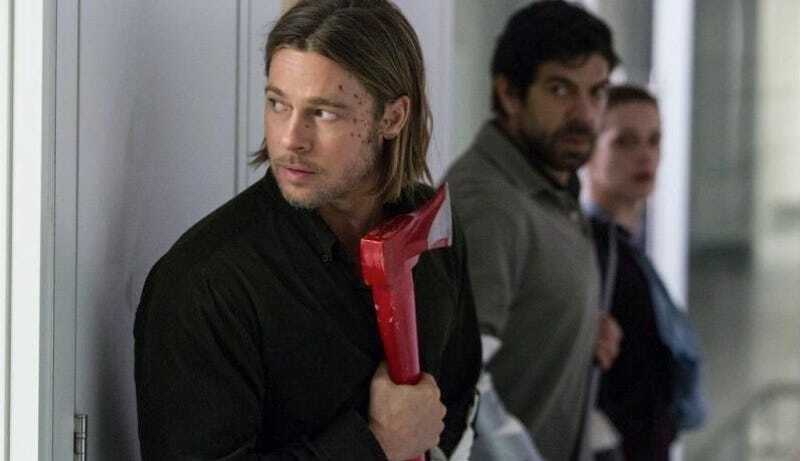 Talk of a World War Z sequel has been lurching around Hollywood nearly since the hit zombie film’s 2013 release. But after new scriptwriter Dennis Kelly was brought in to work with director J.A. Bayona, the latter signed to direct Jurassic World 2. Now producer-star Brad Pitt has a reunion he’s hoping to make happen. That would be with David Fincher, who has directed Pitt in three features to date, two of which were really great (guess which): Se7en, Fight Club, and The Curious Case of Benjamin Button. Well, World War Z didn’t really take much from the Max Brooks source book (a shame, since it’s excellent) so that’s one direction it could go. But the prospect of getting Fincher behind the camera for any movie is always an intriguing one. And given his dexterity with terror and suspense, a David Fincher zombie movie is absolutely something we’d like to see.